National Treasure — Or Feral Nuisance? Somebody I met just the other day reminded me, inadvertently, that I hadn’t written anything interesting lately, so I resolved to choose the first thing that came to mind and take the idea for a ride! It was raining hard, I was driving home, and the Rolling Stones were playing on the radio. So now, here are some thoughts on the Wild Wild Horses who roam freely on the Canadian plains — the good people who try to protect them, and the others who would prefer to see them gone forever. On the one hand, there are the horse lovers, who are invariably branded as Activists, trying their best to raise awareness and save wild herds from being captured and sent to slaughter. Then there are the land owners — primarily cattle ranchers, who lobby the government for permission to cull (kill) the wild herds to preserve prime grazing lands and prevent “problem animals” from becoming a roadside safety hazard. In western Canada, the wild horse story flares up in the news every three years or so, the last big campaign occuring in February and March 2014, right near the end of the ‘Horse Capture Season’ in Alberta, which runs from November to February. An aerial survey conducted by the province of Alberta in 2013 estimated there were 980 wild horses in the Sundre area alone. 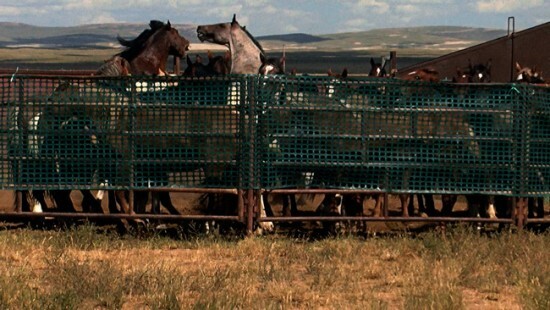 CBC reported on this year’s annual roundup, which saw only 15 horses captured, falling way short of the Province’s target of 196 feral animals. The big stories are mainly centered around the Rocky Mountain foothills in Alberta, but herds are also present in parts of BC and northern Saskatchewan. In Canada, protection of horses is considered a provincial jurisdiction, and there is no federal wild horse protection because Environment Canada considers horses to be introduced foreign animals, not a native species at risk. 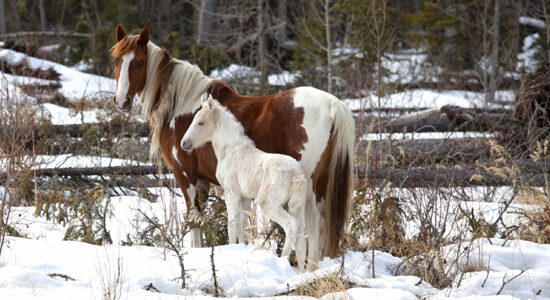 In Alberta, wild horses are considered livestock, and fall under the Stray Animals Act. 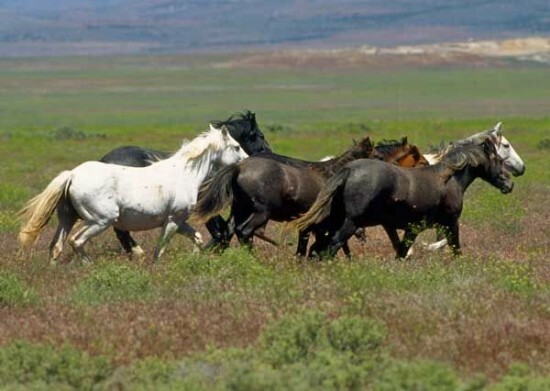 The Canadian Wild Horse Foundation is sponsoring a petition to protect the herds. They need just 3000 more signatures to reach the required threshold of 25,000 supporters to make it official. Now Then . . .
Five million people can’t be wrong.